Running is a simple and effective workout. Few aerobic exercises are as convenient as running. When the weather’s fine, just walk outside and put one foot in front of the other. You really don’t need any equipment besides a pair of quality running shoes, although a stopwatch can be useful for tracking your fitness progress. Running offers these advantages and more, but it also has some disadvantages. Put a glass of water on a table and run in place next to it. Those ripples you see on the water's surface occur because your feet create shock waves as they strike the ground. You might not notice those shock waves passing through your body, but your joints will, especially if you have a condition such as arthritis. So for some people, low-impact aerobic exercise -- such as pool running or elliptical training -- might be healthier and less painful. Another disadvantage of running is that it can get dull. A key element of a successful fitness plan is choosing an exercise that you can look forward to. If you don’t, you’ll probably find plenty of excuses to postpone or cancel your workouts. 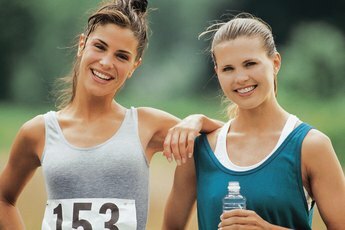 A portable music player can provide some entertainment, and running with a friend can help stave off boredom, but choosing a more interesting activity might be a better option. For example, a competitive sport, such as tennis, will keep you on your toes without boring you to tears. Running does have health benefits. It’s an effective cardiovascular exercise, assuming you run fast enough and long enough to get your heart rate going -- about 150 minutes per week of moderately intense jogging is a healthy goal for beginners. Running also can help you burn calories fast. A 125-pound woman can burn 300 calories in just 30 minutes of running at 6 mph, according to Harvard Health Publications. Another advantage of running is flexibility. 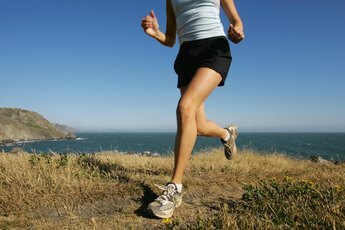 If your running routine isn’t getting results, just switch things up. Burn more calories by running at faster speeds or over more challenging terrain. Indoor runners can increase the incline of their treadmills. Aim for greater cardiovascular development and muscular endurance by running for longer periods. Or you can really shake things up with an interval training program. For example, sprint for 10 seconds and then jog slowly for a full minute. Repeat until tired. 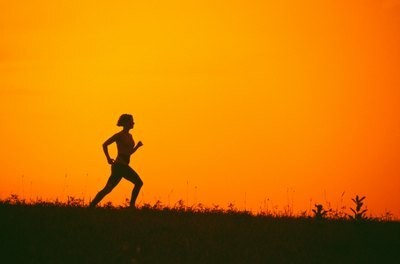 Besides burning more calories and developing cardiovascular fitness, a running routine that alternates bursts of intense exercise with longer recovery periods reduces buildup of waste products in your muscles, meaning you won’t get as sore, according to MayoClinic.com.